The Museum and Art Gallery of the Northern Territory (MAGNT) is excited to announce that 66 artists have been selected from 300 entries to be part of the country's most prestigious national Indigenous art awards, the Telstra National Aboriginal and Torres Strait Islander Art Awards (NATSIAAs). This year the Awards welcome a new generation of artists with the creation of two new categories – the Telstra Multimedia Award and the Telstra Emerging Artist Award. 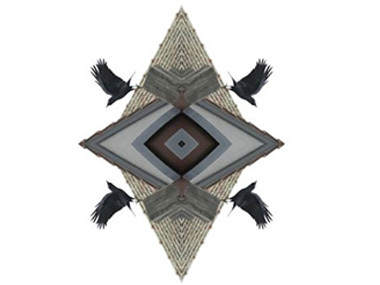 The Telstra Multimedia Award allows multi-disciplinary artists the opportunity to enter innovative and exciting works that include photography, graphic design, film, audio tape and other digital content. The Telstra Emerging Artist Award (evolving from the Telstra Youth Award) provides a tangible opportunity for artists of all ages who are in the first few years of their practice to gain exposure on a national stage and launch their career. Luke Scholes, MAGNT Curator of Aboriginal Art, said: “This year’s Awards celebrate the poignant narratives that represent Australia’s unique Indigenous voices. We are thrilled to see a new wave of artist submissions thanks to the new Telstra Multimedia Award and Telstra Emerging Artist Award." Presiding over this year’s Awards, the Telstra NATSIAA judging panel consists of curator, Emily McDaniel; Director, Queensland Art Gallery & Gallery of Modern Art, Chris Saines; and Aboriginal artist, Regina Wilson. Emily McDaniel is an independent curator, writer and educator from the Kalari Clan of the Wiradjuri nation in central New South Wales. She has worked as the Assistant Curator of Aboriginal & Torres Strait Islander Art at the Art Gallery of New South Wales and as the Aboriginal Emerging Curator for the 18th Sydney Biennale and in the same capacity for the Venice Biennale, 2017. Chris Saines has over 30 years’ experience working in leading public art institutions including 17 years at the helm of the Auckland Art Gallery Toi o Tamaki, overseeing the introduction of the Auckland Triennial. 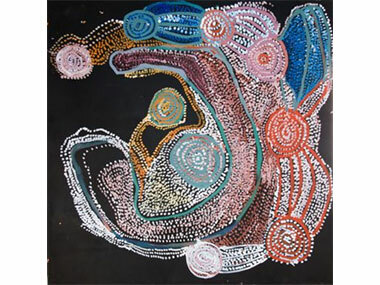 And Regina Wilson, winner of the Telstra NATSIAA General Painting Award in 2003, is a Ngan’ gikurrungurr woman from the Daly River region of the NT, and an acclaimed artist with a creative practice that spans more than 50 years. Wilson and her husband founded the Peppimenarti community and in 2001 instituted Durrmu Arts. Telstra has passionately supported NATSIAA for 26 years, providing Australia's Indigenous artists with a meaningful platform to be creative and innovative on a national stage. Telstra CEO Andrew Penn has said, “Telstra’s connection with the NATSIAAs has broadened and deepened over the years, to the point where they have become part of our identity and a source of great organisational pride. 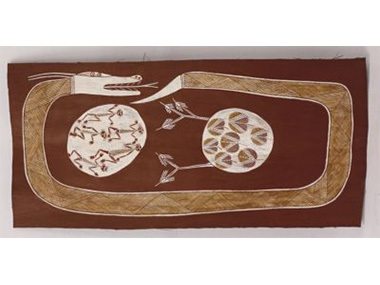 At the heart of our support is the idea of connection – to country, to community and to culture – that runs through so much indigenous art and, more broadly, so much of the work Telstra does”. Which is supported by the recent news that the remote painting community Titjikala is the first township to receive mobile phone reception under a three-year, $30 million co-investment program between the Northern Territory Government and Telstra. Each has committed five million dollars per year over three years, resulting in at least eight new mobile base stations being constructed in the remote communities of Titjikala, Manyallaluk, Umbakumba, Bulman, Weemol, Minyerri, Kaltukatjara, and Yarralin. Further sites are also being investigated. Collectively the winners this year will receive $80,000 to assist in their career development. The seven winners will be announced at the awards ceremony and exhibition opening at MAGNT on Friday evening, 11 August 2017. There's indication yet as to which artists are in which categories.